The Monaco Grand Prix is the jewel in the crown of the F1 season. It has everything, fast cars, glamour and the incredible backdrop of Monaco and Monte Carlo. If you are planning to attend the race, there are numerous options available. The first task would be to acquire tickets for the race and the best place to get them is at the official website of The Automobile Club de Monaco. Having obtained tickets, you need to decide how to travel to Monaco. If you live in the UK then one option would be to book flights to Nice and spend a few nights at the resort, travelling from Nice to Monaco on the day of the race. There hundreds of hotels in Nice whereas Monaco itself will be booked up far in advance of the grand prix. To get from Nice to Monaco, you can catch the train or take the bus which runs along the lower corniche road. You would have to travel early though as public transport will be very busy during the grand prix weekend. If you are worried about arriving on time then it may be better to book a taxi or arrange similar private transport. To avoid travelling on the day of the race you would need to be lucky and find a hotel with available accommodation in Monaco. Many of the Monaco hotels are fully booked well in advance of the race and many are occupied by the F1 teams! An alternative would be to try the adjacent district of Beausoleil. From the UK another option would be a day trip to the Monaco Grand Prix. The advantage of this would be that the travel agent would also arrange your transfer from Nice airport to Monaco on race day. Costs per person would be in the region of £750 per person and there are many companies providing such day trips. However, the packages normally only include tickets for Rocher which is the section on the hillside overlooking Monaco. To upgrade to a grandstand seat would normally bring the cost up to £1000 per person. 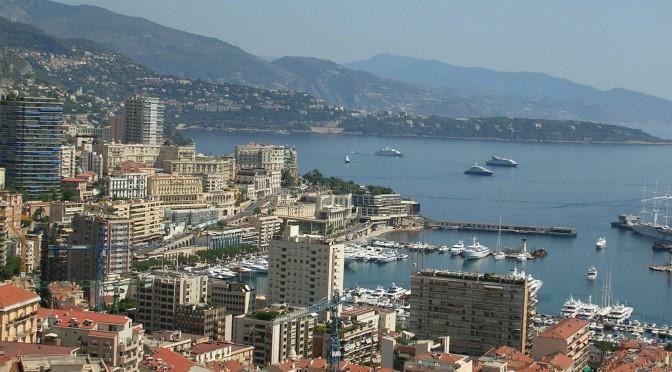 If cost is not a consideration then why not charter a yacht to attend the Monaco Grand Prix!